Internet of Things | BlackHatWing, Inc.
As technology enwraps our life, we are on our way to being seamlessly integrated with gadgets and devices through the Internet of Things [IoT]. The blend of sensors and applications are creating smarter cities, homes and business services while empowering us through informed decision-making, time related efficiencies and eco- friendly lifestyles. IoT applications are complex as they blend together software, hardware, sensors and databases. As the IoT market grows across verticals such as health, retail, automobile and more, the IT industry also needs to re-visit products and services offered in the IoT spectrum for development and testing. BlackHatWing introduces an all-inclusive testing methodology for IoT which involves testing hardware and software along with massive amounts of real-time data interchanges across an IoT eco-system. 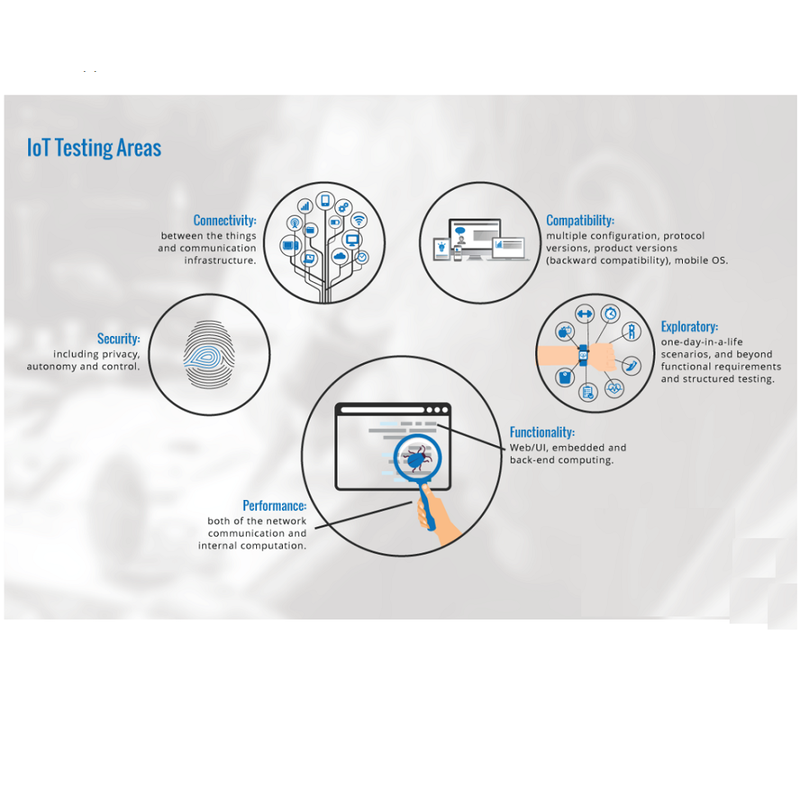 Our methodology is supported world-class test labs, certified testers and solid test strategies which can cover the depth and breadth of IoT applications. Functional testing encompasses end to end testing of the IoT ecosystem to ensure that the system produces desired outcomes and behaviors as per the business requirements. In exploratory testing of IoT, testers interact with the app and its communication with the objects to observe the information retrieved from application to act in response. Act as an end user to get the outcome of the application and the device. It includes real time involvement of human being and machine both. Security Testing is considered Obligatory for innovative technologies to meet their full market value. It is initiated to look over the intact product network, so the risk would be balanced with the privacy, autonomy and vulnerabilities.